1. She channeled her anger about racism into a film instead of crying into her take-out. 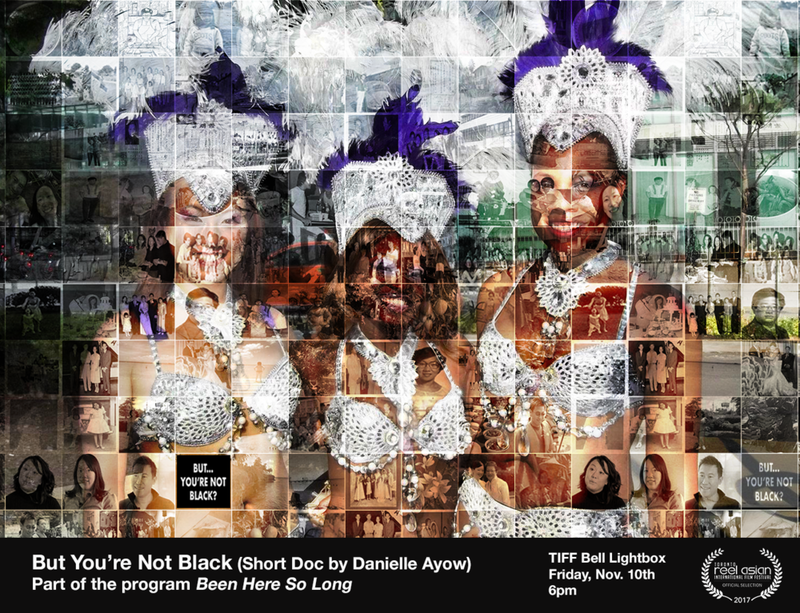 Danielle wrote a short documentary "But You’re Not Black," an official selection of the 2017 Toronto Reel Asian International Film Festival. She is currently developing a new version, slated for Summer 2019. 2. Gave Ann Pornel (Baroness Von Sketch Show, Second City) some much needed R&R. Danielle was Ann Pornel’s understudy in "Everything is Great Again" and "Panic Today, Party Tomorrow" on the Second City Mainstage. 3. Made a Francophone playwright accessible to an Anglophone audience. Danielle was cast in the English premiere of "Tout Comme Elle" alongside such greats as Fiona Reid, Barbara Gordon, Kyra Harper, and Jean Yoon. 4. She kept the airwaves swear-free (at least on this show). She guest hosts the popular and CBC Podcast Playlist favorite, "The Royal Canadian Movie Podcast" when Cam Maitland is doing amazing film things. 5. Gives the world a little more merriment. Danielle performs stand-up around Toronto on such shows as "Crimson Wave," "Dawn Patrol" and "Merry Janes of Comedy." Still interested? Follow her on Twitter/Instagram: @daniayow for some dry wit and out of focus pictures.